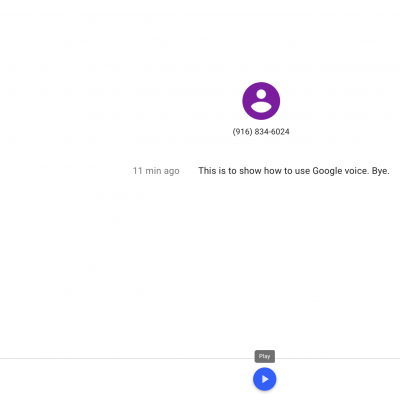 Why Should I Use Google Voice? How many students are in your class? Twenty-five? Thirty-six? The typical teacher-student ratio is 36 to 1. As a result, students do not get enough speaking practice. Google Voice to the rescue! Google Voice is a great tool for providing students more opportunities to practice speaking. In Spanish One: I give students the Google Voice number and they say the alphabet. They are graded on pronunciation. In More Advanced Classes: I give them a homework assignment from a website, such as http://www.laits.utexas.edu/spe/ They listen and read the script of the monologue I assign and then give me a one-minute oral summary and reaction. 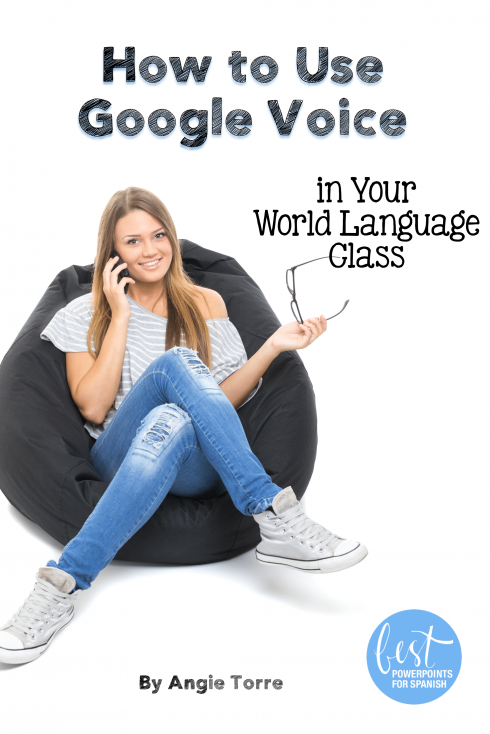 I model how to call the Google Voice number during class so they can practice leaving a message. (They hear,”This is Angie Sherbondy. Please leave a message…beeeeep.) Then, later, I listen to their summaries. It works like a charm and takes very little time to listen, especially if you have advanced students as T.A.s who can correct and grade it for you! For my AP students: I assign BBC Mundo, Univisión or my favorite, http://www.ver-taal.com What I like about this site is that the students can’t see the script until they have listened a few times and answered a few comprehension questions. Perfect for language learners! When you first open Google Voice, log in using your Google account. Use the Gmail email address associated with your Google account. If you don’t have a Gmail account, you’ll have to sign up for one before you can use Google Voice. After selecting a Google account, you will be asked to agree to the Terms and Conditions. Tap Accept after you’ve read and understood the contract. 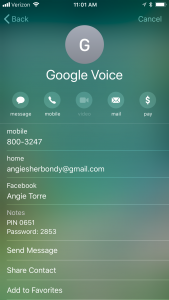 You can then choose a Google Voice number to connect to that account. Tap Search to select a number. You will be asked to select a city of origin. So, if you want your recipients to see a number that is located in New York, use that city. When you’ve picked a number, tap Select. You will then be asked to verify the new number with your smartphone or tablet by linking its phone number with your account. Enter your personal phone number when prompted. This is the number you use to send and receive phone calls. You’ll be sent a unique code that you will need to enter to verify your number. Once verified, You’re all set! Give this Google Voice number to your students. Give them a prompt and have them talk about it. 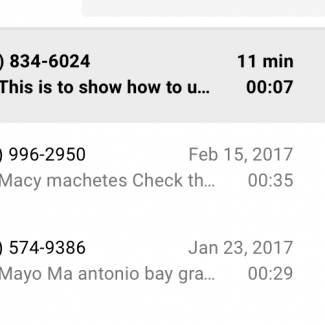 Then, go on your Google account and click on the numbers that say how long they spoke in order to play their message. You can also leave comments for the students about their performance so they know what to work on. Click on the icon to the right of the phone. You can also access Google Voice from your phone. Here’s how it looks on my iphone. I do a lot of oral assessments with Google Voice. I have them use their phones in class to ensure they’re not using notes. Is the number the same all the time or do you have to choose a different number each time you create a new assignment? Hi, Colleen. The number is the same each time. You are referring to the phone number they call, right?